“Laia is a slave. Elias is a soldier. Neither is free. This debut novel by Sabaa Tahir is the best book I’ve read this year. 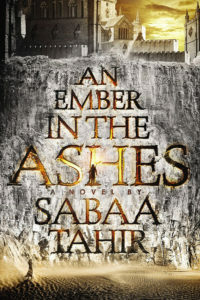 Full of page-turning action, inspired characters and set in a richly detailed world, An Ember in the Ashes rises above most other books in the YA fantasy genre. Can’t wait for the next book!